Genesis began selling cars online in Canada Nov. 21, 2016, and as of July 31, 2017, 366 vehicles have been bought. Hyundai’s strategy to launch the Genesis luxury brand without a national network of bricks-and-mortar stores is winning over customers. 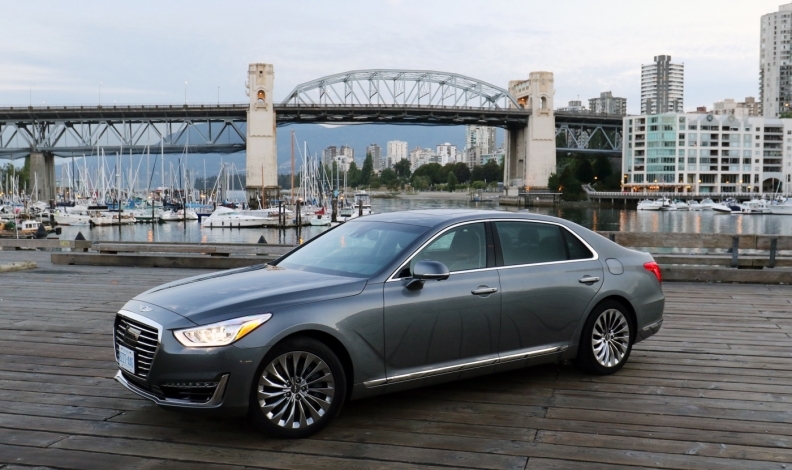 After initially launching Genesis as a single Hyundai luxury sedan, the company has reimagined Genesis as a brand unto itself with several luxury vehicles and an entirely new concept for administering sales. Rather than using franchised dealers, Genesis owns its inventory and retails through online sales and agents. While Genesis recently opened its first physical store in Toronto, the brand primarily uses a concierge service: Agents bring the cars to the customers for test drives, they deliver the cars upon sale and pick up and leave a loaner when a car needs service. “We purposely set up Genesis so [customers] buy directly from Genesis Motors,” said Michael Ricciuto, Genesis brand director, in an interview with Automotive News Canada. Currently, most agents are in Toronto, Montreal and Vancouver, and five more stores will open in those areas by the end of 2017. The company plans 31 locations by 2021. “There are 14 market areas in Canada that account for 85 per cent of luxury car sales, so we’ll be able to cover the majority of the luxury car market with our current plan,” Ricciuto said. A Canadian creation unique to the globe, the sales plan was developed in Canada, for Canada, and a new Toronto location is the first Genesis stand-alone boutique in the world. The brand is sold in Hyundai stores in the United States, but is strictly standalone in Canada. Genesis agents were selected from existing Hyundai dealers. “When we developed this business model, we thought the dealers might fight it, but when we explained it, only one out of 19 rejected it,” Ricciuto said. “We’re smart enough to know we’ve invested a lot in our dealer organization and we want to use their expertise in selling and servicing cars, but we want to modernize that approach. The cars come with one price per trim level, which includes delivery charges and five years of maintenance. Brian Nash, of Stoney Creek, Ont., said he was initially skeptical of the “no-dealership thing” when he bought his 2017 G80 Ultimate. “I’m old school, go to the dealership, kick tires,” he said. “I looked at Mercedes, Audi, Lexus, Jaguar, and I went for the G80 because it offered everything I wanted. Ricciuto believes the sales model will be difficult for other automakers to copy because they have established models where they sell to dealers, which Genesis does not do.